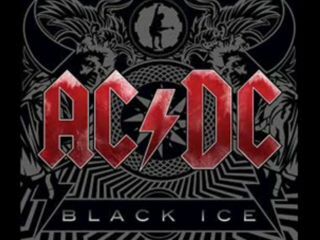 AC/DC have officially debuted Rock 'N Roll Train, the first single from their anxiously awaited new album, Black Ice, and MusicRadar can state on the record - it's a killer! The song can be streamed on this page of the band's website. From just one listen, it's clear the band have made good on their promise to return to the no fuss, no muss, down-and-dirty rock of the Back In Black era: The riff is instantly infectious, Angus Young's solos are of the barnstorming variety (he literally bursts in early on the first run - the guy can't wait to play! ), and Brian Johnson's voice is both rough and massive. Which just might explain why it takes AC/DC sometimes eight years between albums: that's how long it takes Johnson to get his vocal cords back in shape. Produced by Brendan O'Brien (Pearl Jam, Bruce Springsteen, Rage Against The Machine), the album Black Ice will be released October 20 worldwide. The CD will be sold exclusively through Wal-Mart and Sam's Club , as well as AC/DC's official website. Hey, here's an idea: let's check the song out again.